By 2050, the global demand for energy will have increased by 50% based on the predicted human population increase. Climate predictions for the same period are bleak. These facts highlight the need to manage our natural resources wisely and meet our growing energy needs in a sustainable manner. Researchers are working hard to develop solutions to this challenge, and much of it centres on renewable options for energy production. Supporting associated research and development is not just about securing funding from business and industry. A new wave of STEM students is needed to bring fresh ideas, talent, enthusiasm and knowledge to the table. But unfortunately, there is a shortfall in the number and quality of students entering the STEM disciplines. This, in turn, will have an impact on society’s ability to manage their environment and resources in a sustainable way in the future. To meet this challenge, Dr Pankaj Sharma and colleagues from Purdue University, Indiana, USA, have developed and implemented a program known as the ‘Duke Energy Academy at Purdue’, or ‘DEAP’. In a nutshell, DEAP is an intensive one-week residential program which aims to engage high school student’s interest in the energy sciences and engineering by way of hands-on, interactive and real-world learning experiences. Participation is provided free of charge to over fifty participating students. These students are selected through competitive online applications. DEAP certainly is a positive step forward in encouraging students to take up further studies and careers in STEM. This, in turn, will help provide in the future the talent needed to solve society’s greatest sustainable energy challenges. One of DEAP’s primary objectives is to inspire students to enter the STEM disciplines and to consider energy-related fields when setting their educational and professional career goals. 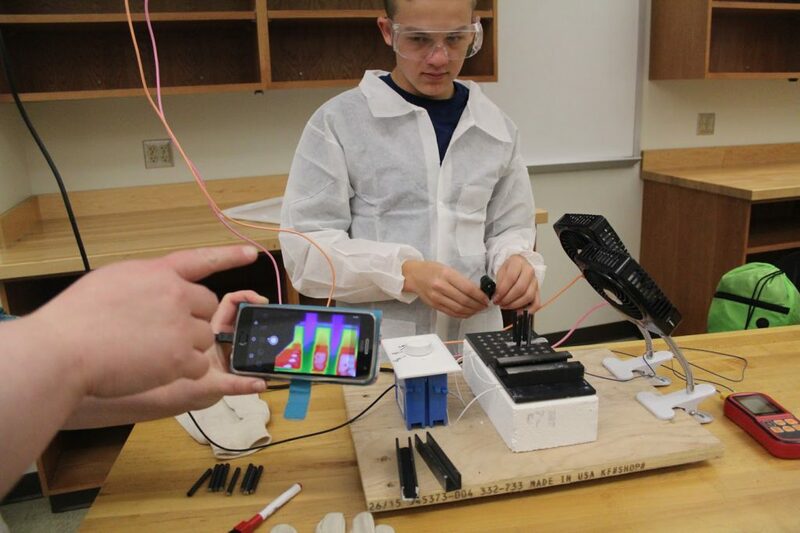 While each student’s learning preferences are unique, hands-on and real-world activities are a sure-fire way to engage students in their studies and stimulate interest in STEM subjects. For this reason, these types of learning experiences are the cornerstone of DEAP. Lectures: Guest speakers from Purdue University, industry, and the government actively engage participants in open discussions. Tours: Examples include visits to a fossil plant, wind and solar farms, a nuclear reactor, a waste digester, and a propulsion laboratory. Projects: Students work on energy-related research projects and participate in team-based energy policy debates. Experimental exercises and demonstrations: These exercises cover areas such as the role of catalysts, wind turbine and solar technology, energy storage, electricity distribution and transmission. Dr Sharma and his colleagues want students to have an authentic and worthwhile experience when attending DEAP. Hands-on activities include, ‘The Wind Turbine Challenge’, ‘The Solar and Wind Farm Challenges’, ‘The Drone Challenge’, ‘LEGO Mindstorms’ and ‘Principles of Grid Operation’. A key focus of the academy is student research projects led by faculty and their graduate students in their fields: (1) The Science of Photovoltaic Solar Cells: Fabrication and Characterisation of Dye Sensitized Solar Cells from Berries; (2) Rechargeable Batteries with Advanced Electrode Materials; (3) Fuel Cell and Transmission Electron Microscope: Catalysts for Energy Innovation; (4) Nuclear Batteries: Theory of Operation, Characterisation Methods, and Uses in Navy & Defense; (5) Understanding Nuclear Fuel and Radiation Decay Chains; (6) Plant Biomass to Biofuel, by Nate Mosier: Energy Efficient Cooling Solutions; and (7) Synthesis of ZnO Nanofibers for Thermoelectric and Piezoelectric Applications. Carrying out the program requires the help and support of many, and it certainly highlights the importance of collaborating with STEM professionals, educators, and industry leaders to create and support a project of this kind. For the last seven years, the Energy DEAP has been made possible by the generosity of the Duke Energy Foundation, Indiana, USA, and several other co-sponsors and supporters. Even in its relatively short history, DEAP is having a significant, positive impact on student learning and aspirations. This has been confirmed by assessment data and surveys of participants. Dr Sharma and his team report a statistically significant increase in interest in energy-related and STEM disciplines among students. Recent statistics showed a staggering 93% of participants indicated that they would enter a STEM-related field in college. 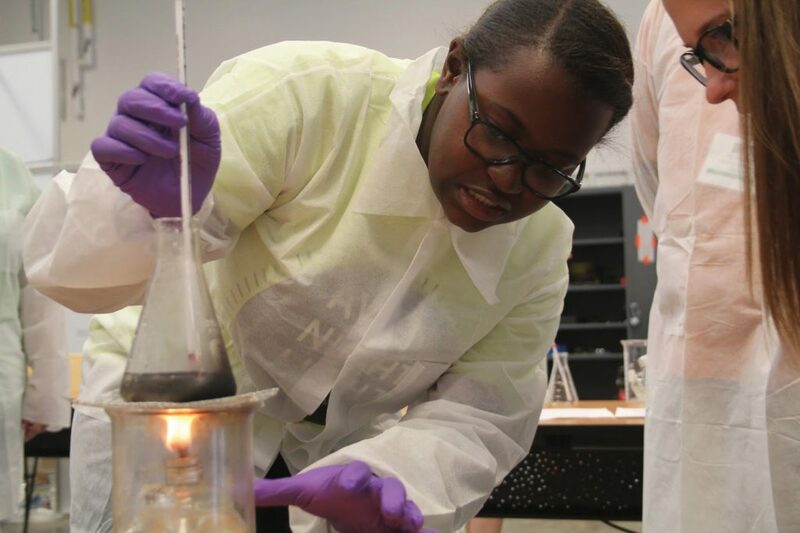 Furthermore, data from the Purdue admissions office indicates that about 80% of DEAP participants do actually apply to Purdue under a STEM major. As with any program or course, improvements are continuing to be made over time. One of the main challenges, which in some ways is a positive, is that there is a high demand for spots on the program and so sadly, many applicants have missed out. Dr Sharma also believes that a second challenge is to maintain a high-quality program over subsequent years. As personnel and the institutional leadership involved change, this could indeed be a challenge. Not to mention the difficulties incorporating new and emerging technological developments and scaling into the program. In terms of logistics, Dr Sharma and his team will work to relax the schedule, reduce lecture times, incorporate more open-ended hands-on activities with minimal instruction and include more evening activities. The suggested changes will hopefully maximise engagement and ensure that participants are having fun as well. Indeed, despite having run the program over several years, they are continuing to refine their understanding of the practicalities of administering and implementing such a program. In addition to the program components mentioned above, such as hands-on activities, tours, lectures, projects and practical lessons, Dr Sharma and his team have determined that facilitating student/mentor interactions, providing career-related resources, and including societal-related elements are important aspects too. In terms of administration, they also recognised the need for adequate counsellors and mentor teachers for students, targeting minority schools and making sure that presenters are from diverse backgrounds. They also highlight the need for conducting regular and varied assessment, engaging alumni to advocate for the program, developing long-term growth options with associated business plans, and implementing relevant marketing strategies. All these different aspects are needed for an effective and high-impact STEM education program. Of course, Dr Sharma has many goals and targets for further improvement. Nevertheless, it is clear that, with its variety of activities and authentic learning experiences, DEAP is focused on effective student learning. This is clearly evidenced by the feedback received thus far. 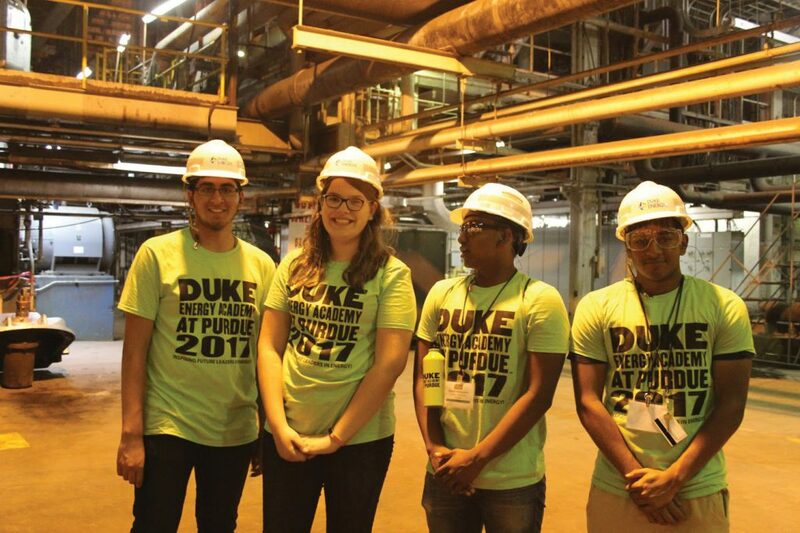 Ultimately, DEAP is stimulating an interest in STEM-related careers, especially those in the field of energy production and sustainability. This is indeed good news as society places more demands upon the Earth’s resources and managing them becomes a greater challenge. The continued success of DEAP and similar programs in the years to come is key to inspiring the vital next generation of future energy leaders. 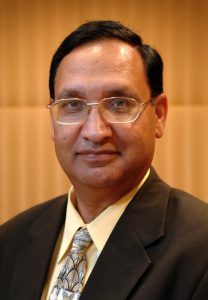 Dr Pankaj Sharma is a courtesy professor of Engineering Technology at Purdue Polytechnic Institute, as well as the managing director of Purdue University’s Discovery Park Energy Center and managing director of the Integrative Data Science Initiative at Purdue. 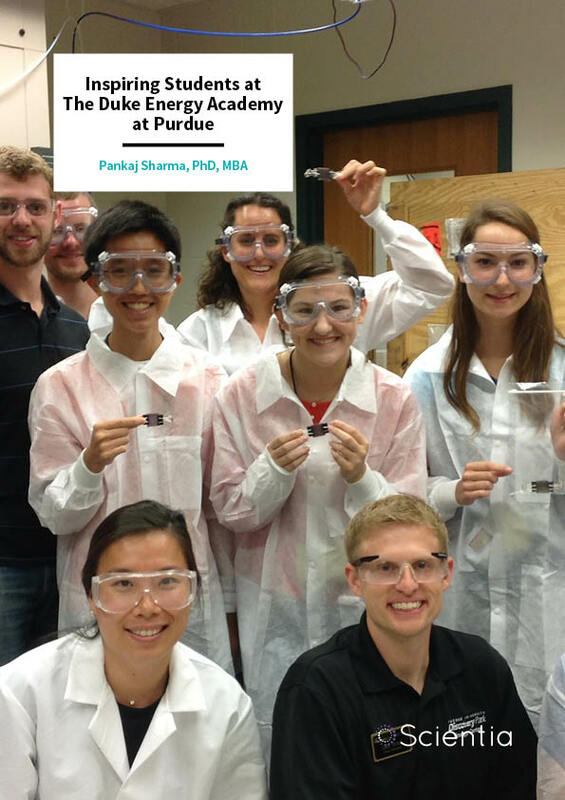 In 2002, he joined Discovery Park (DP), Purdue’s hub for interdisciplinary research efforts. Previously, he was a researcher at the University of South Carolina, the University of Pennsylvania, and the University of Rochester where his work focused on the application of radioactivity for dating and tracing in geological and biomedical systems. 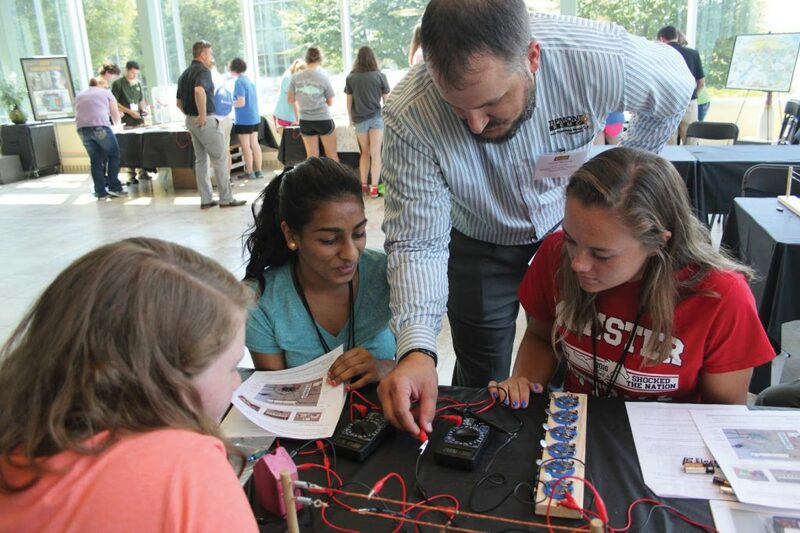 With assistance from Duke Energy Foundation, he and his colleagues have developed (since 2012) and implemented ‘The Duke Energy Academy at Purdue’ program, or DEAP – an immersive one-week summer program which aims to inspire high school students and teachers in the energy sciences and engineering.